I have had the blessed opportunity to engage in a number of conferences and to do interventions on the international level since 1999 including becoming a part of an NGO with consultative status with the United Nation, the International Human Rights Association for American Minorities (IHRAAM). During that timeframe, I learned that years and decades were dedicated to specific international covenant concepts and that unfortunately, mainstream media did not promote these things that were being celebrated by the international human rights contingent of people in the world. Most that are at the United Nations on a regular basis are aware of these activities and country after country or member state after member state will vote for acceptance of a particular declaration and after that, unfortunately, many within those places go on with business as usual instead of truly focusing on the agendas that were outlined and agreed to. In the midst of great celebration of Human Rights Day at the United Nations in December 2014, speakers came forth from various parts of Africa and the African Diaspora as they awaited the announcement of OUR long awaited decade-the International Decade of People of African Descent. 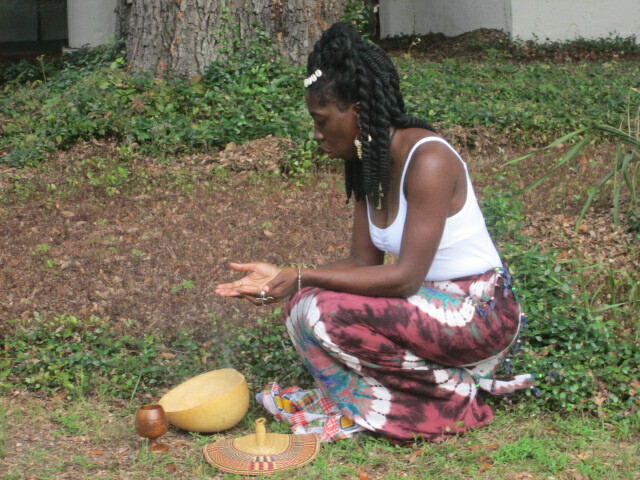 I heard about the planning for this several years ago and my celebration started at that time, but my shout started at the culmination of Watch Night 2014 on my home island of St. Helena in the Gullah/Geechee Nation since I knew that midnight would not only signal a day that Gullah/Geechee hold sacred as part of our freedom journey, but it would also signal a new opportunity to bring more freedom to African peoples of the world. Tenk GAWD mi libin an wok ain bin een vain! The UN General Assembly proclaimed 2015-2024 as the International Decade for People of African Descent (resolution 68/237) citing the need to strengthen national, regional and international cooperation in relation to the full enjoyment of economic, social, cultural, civil and political rights by people of African descent, and their full and equal participation in all aspects of society. Adopt and strengthen national, regional and international legal frameworks according to the Durban Declaration and Programme of Action and the International Convention on the Elimination of All Forms of Racial Discrimination and to ensure their full and effective implementation. However, a day is never long enough to fully expand the minds of the masses. A mind can be renewed in a day, but the process of renewal and deprogramming is continual and continuous. 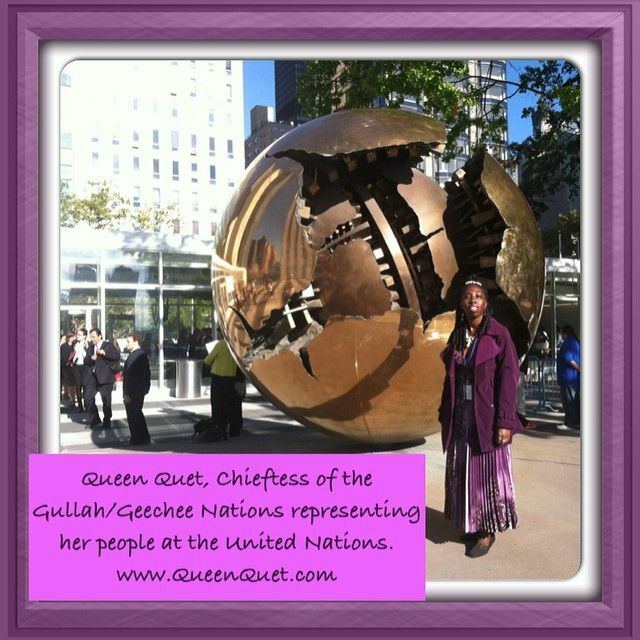 So, the leaders of the Gullah/Geechee Nation see this international decade as an opportunity to continue a process that will assist people of the world with expanding their knowledge of the African peoples that make up the lineage of the Gullah/Geechees and to expand their knowledge of the Gullah/Geechee Nation. At the end of this, we expect to see more Gullah/Geechees and other people have greater knowledge of and respect for our heritage, culture, and contributions that we give to the world. We will begin the implementation of numerous activities that have already been agreed to on paper by various governmental entities and will seek to continue our work with international and national partners to meet the objectives of the decade. As we have been taught “empty sak caan stan upright lone,” so we have been and will continue to do our part to insure that the human rights of our people are upheld by working with other peoples of the world that are seeking to hold up this same agenda. What a day to begin the process of holding up this sack with a global team and what a day to begin the International Decade of People of African Descent-Emancipation Day een de Gullah/Geechee Nation! Yet, the decade can end up being just another declaration if people do not work to truly emancipate themselves. As we Gullah/Geechee Dr. Buzzard frum St. Helena lun we, “Hunnuh tink free, hunnuh be free!” So, hunnuh chillun, mi pray sey bout disya decade, hunnuh gwine shout an wok wid de nayshun ob de Gullah/Geechee! ← GullahGeecheeNation.com 2014 in review-Tenki Tenki ta Hunnuh fa de view! Making people aware of the rich heritage of the Gullah/Geechee history and culture is more important today than ever. What your organization does is to be commended.